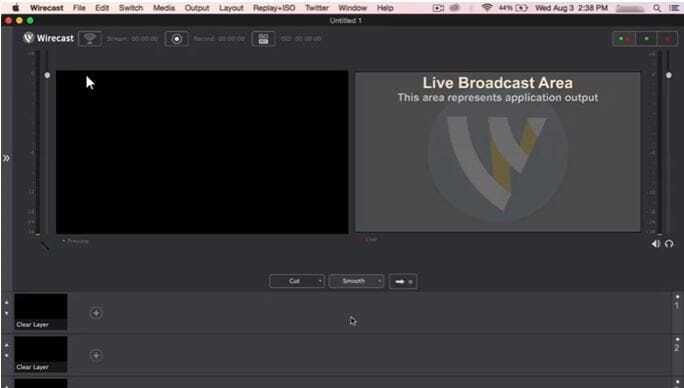 Wirecast is a simple but excellent tool that helps you to stream live videos on facebook with minimum effort. Since its launch in June 2016, the live video broadcasting feature on facebook has been extremely popular among its users. There are also a number of software programs to help one do this. The best way to go live on facebook is currently available in the market. The recent update of the program even allows you to broadcast the live feed directly to facebook groups. With wirecast, you can publish your videos on facebook live like a real professional! 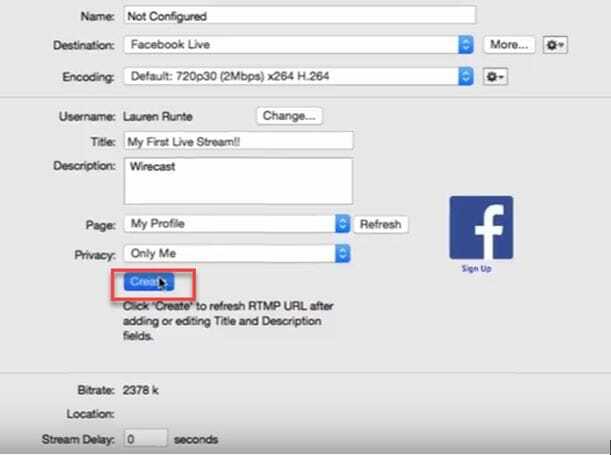 How to set wirecast for facebook live? A. Check bandwidth before going Live. You’ll need sufficient bandwidth to do this. 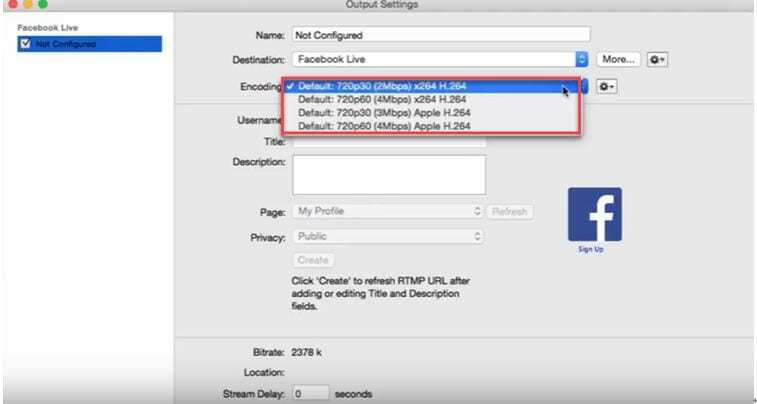 An upload speed of at least 4-5 mbps is required for live streaming. Before you proceed further, it is better to test the speed of your connection using www.speedtest.net or testmy.net from your PC. You’ll probably need to run repetitive tests to ensure that you are getting a consistent upload speed at the required rate. Install wirecast studio or wirecast pro on your device. 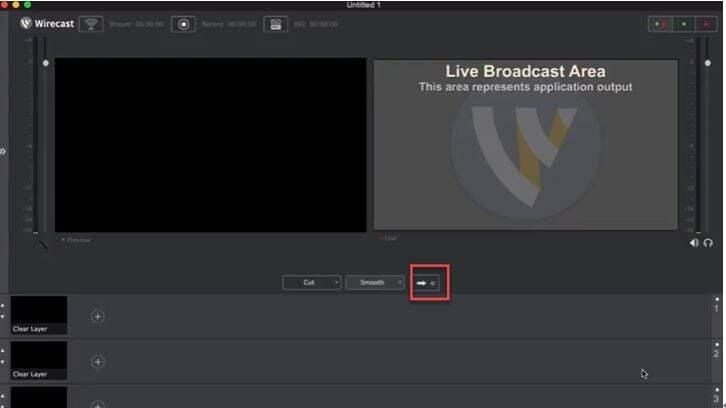 Unlike many other live streaming production and encoding software, it is very easy to set up wirecast. 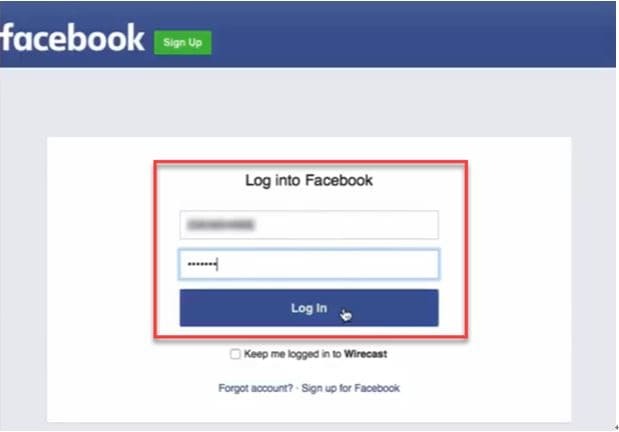 Once installed, wirecast can be directly connected with your facebook account right away. 1. Before anything, ensure that the program has been properly installed. 2. Now it is time to get your content ready for streaming. Open wirecast and arrange your images, cameras, sources and titles in the manner you want to.If you are using wirecast for the first time, you should look for the beginners’ tutorials on how to use the program properly. 3. After your content is ready, you need to select the destination. You have to find ‘Output’ from the menu bar and select ‘Output Settings’ from it. 4. 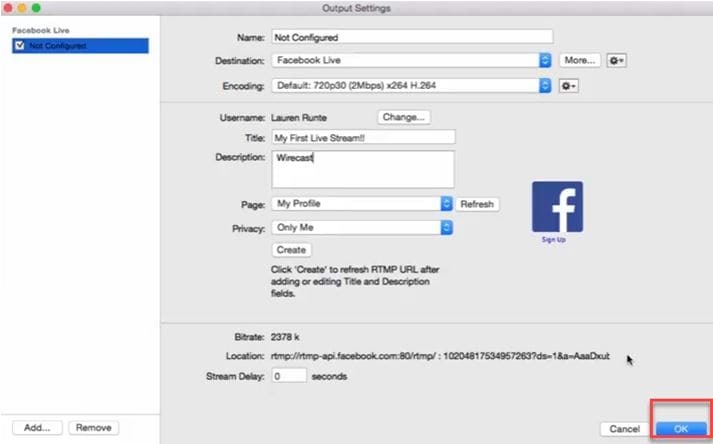 Then check ‘Facebook Live’ from the ‘Output Destination’ drop down box that has been opened. 5. You can click ok now. 6. Now, you have to select the default encoding according to the bandwidth of your connection. 7. 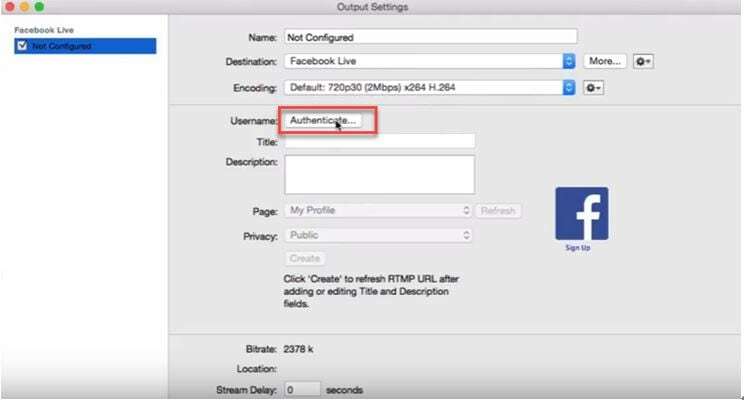 Enter the username of your facebook profile and then check ‘Authenticate’. 8. Now, it is time to log in to your facebook account in the pop up browser opened on your screen. 9. Put the title description of your video in the designated space, then select the exact page or group and the friends with whom you want to share your live streaming. 11. To finish the setting, click ok.
12. Your set up is now absolutely ready to begin broadcasts. Add your content now, and click the stream button to go live on facebook. It is no doubt that wirecast is an extremely easy-to-use yet efficient program that offers more diverse scene transitions than other similar programs. However, a high performance PC is required to successfully run the program. The price is also quite high for amateur users. 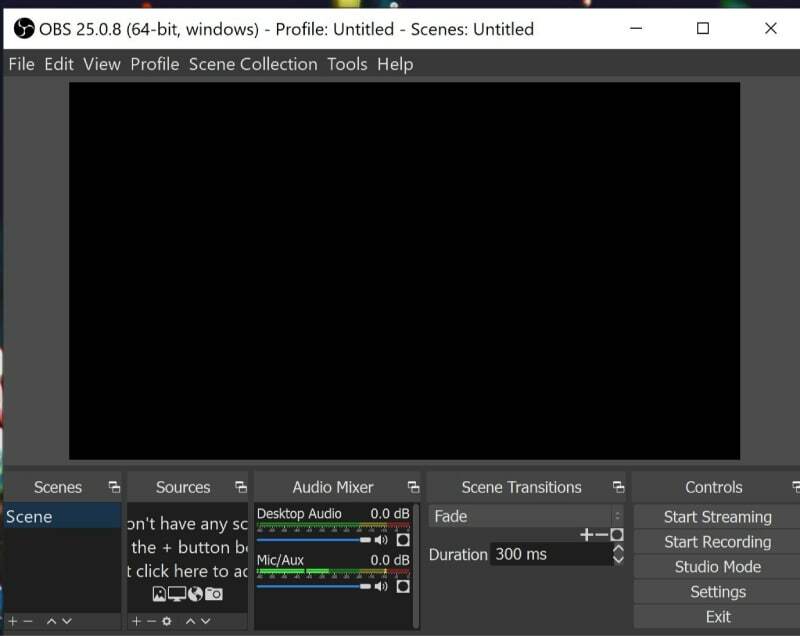 As an alternative to wirecast, OBS Studio is highly recommended for live streaming on facebook from your computer. Like wirecast, OBS also supports multiple displays at the same time and smart features like the picture-in-picture. 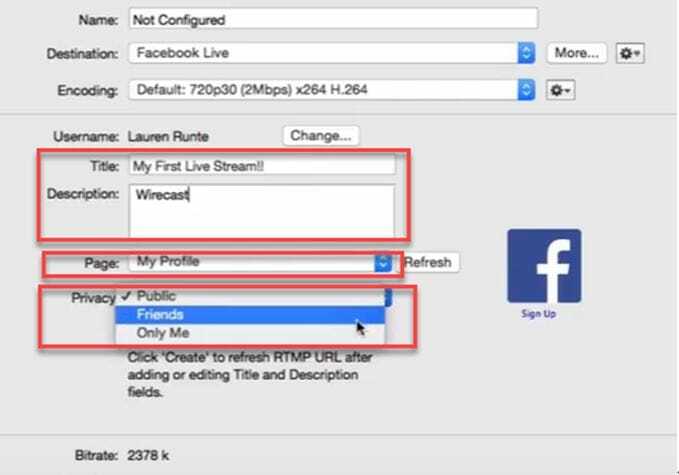 Unlike wirecast, OBS is a free and open source software that allows you to broadcast to your facebook page, friends and groups. It is perfectly compatible with all types of Operating Systems like Windows, Mac, or Linux. OBS offers high performance real time video/audio capturing and mixing and a substantial range of scene transitions to the users. It is very easy to install, configure and use the program which guarantees a quality live stream.